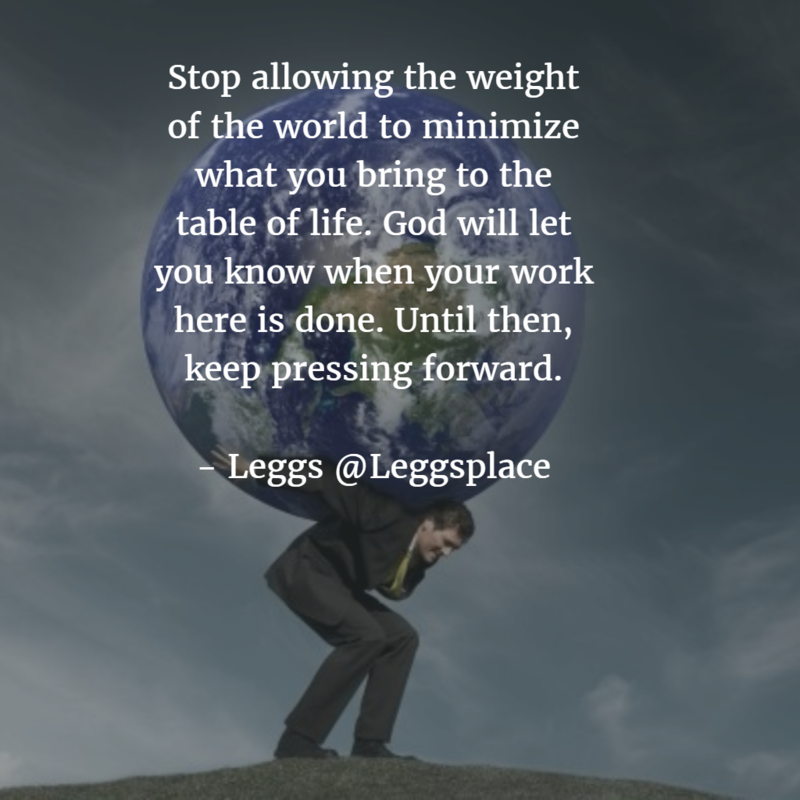 Stop allowing the weight of the world to minimize what you bring to the table of life. God will let you know when your work here is done. Until then, keep pressing forward.